A portfolio of both Collective and Personal Fall Protection Solutions. 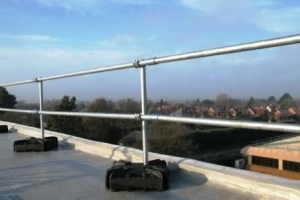 Rooftop guardrail products and engineered lifeline systems all designed to provide safe working at height. 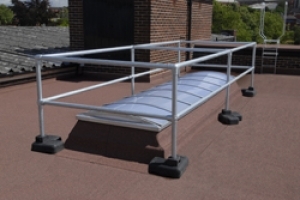 A free standing roof edge fall protection system that does not penetrate the roof membrane. 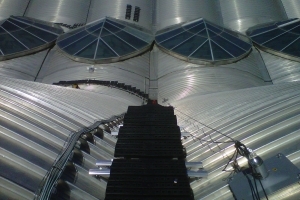 KEE DOME is a free standing skylight fall protection system designed to prevent falls through skylights which does not penetrate the roof surface. 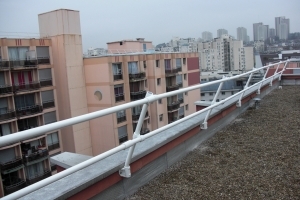 KEE MODULES is a range of structurally mounted pre-designed uprights for fall protection barriers. KEE MARK is a free standing demarcation system ideal for temporary situations. 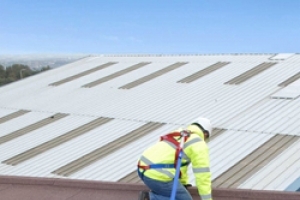 KEE HATCH is a roof access fall protection system designed to prevent falls through a roof opening or hatch. A portable modular dead weight anchor fall prevention system encompassing the WEIGHTANKA, WIREANKA & ACCESSANKA products. 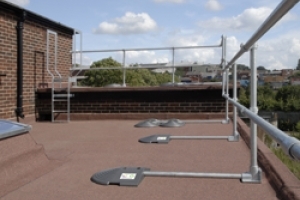 A range of fall arrest anchor solutions designed to provide permanently fixed roof anchor points. 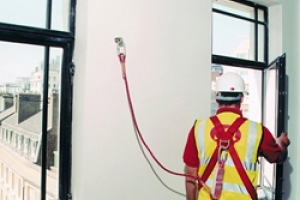 A comprehensive range of Class A1 safety anchors; featuring the KEYANKA and RINGANKA products. 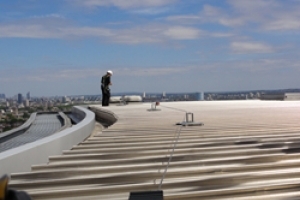 Kee Walk provides a safe, anti-slip, level surface for anyone who needs to access a roof in the course of their work. Caters for flat, barrel and sloping roofs. 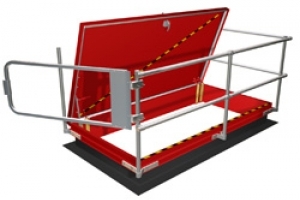 An EN 795 Class C, personal protection system for either rooftop or horizontal / overhead applications on structures.